FREE- Sign-up to have your Utility bill automatically deducted from your bank account on the 15th of each month! NEW! 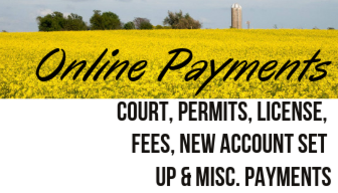 !- Residents signed up for Auto-debit can now sign up for E-Statements! The maintenance department may be reached at 316-542-3815 -24 hours a day. 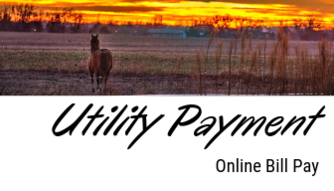 All utility payments must be paid by the last day of the month or utilities will be disconnected. 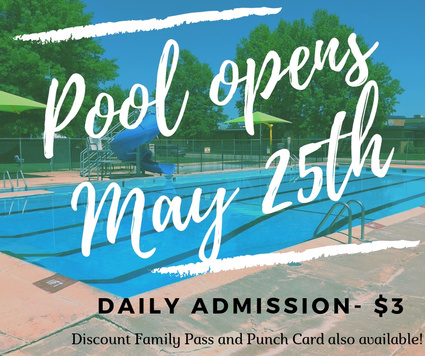 Swimming Pool opens May 25th! 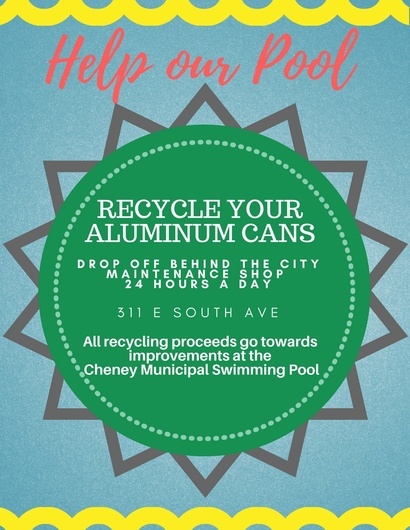 Swimming Lessons, Swim Team, Pool Parties, Water Aerobics, Family Swim Night- we have it all at the Cheney Municipal Swimming Pool! Family Swim begins June 26th! Learn more on our Parks and Pool page. Visiting your local playground or recreational field will now be a more enjoyable experience without cigarette butts littering the ground or the smell of tobacco smoke in the air. Young Lungs at Play! is an initiative promotiong tobacco-free and smoke-free public parks and playgrounds for young people. Young Lungs at Play! aims to eliminate children's exposure to secondhand smoke and vapors produced by electronic smoking devices at local public parks, playgrounds and playing fields by educating community service organizations, municipalities, school districts and county government agencies. 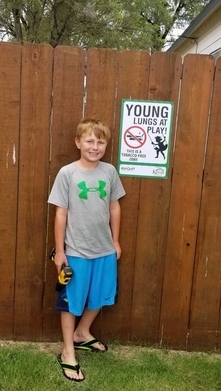 The Kansas Department of Health and Environment promotes the Young Lungs at Play! initiative throughout Kansas communities to coordinate tobacco-free parks and playgrounds. The initiative also provides no-cost weather-resistant Young Lungs at Play! 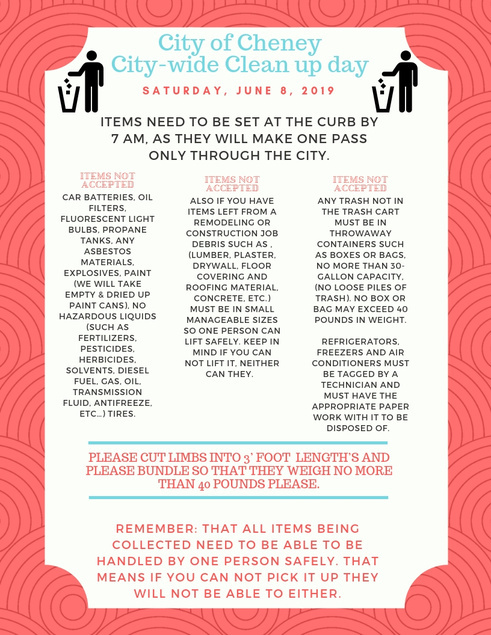 signs to be posted in those recreation areas. Vinita 4H Club member, Cash Young, presented facts regarding tobacco use and second hand smoke to the Cheney City Council on June 14, 2018. Young stated, "1,500 Kansas kids under the age of 18 start smoking every year. Second hand smoke causes 41,000 deaths per year in the U.S." Outdoor tobacoo use has an environment impact as cigarette butts are one of the most littered items in the world and tobacco waste is costly to clean up and can poison our waterways, animals and people. The Cheney City Council was receptive to Young's presentation and adopted Ordinance 908 prohibiting Tobacco-use in outdoor recreational areas owned, leased and operated by the City of Cheney on June 14th, 2018. Free signs were acquired from KDHE and were hung in locations that are included in the tobacco ban. The Master Plan was recently designed for the area at MacArthur and South Main (see photos below). It's amazing to think of everything accomplished on the South Main Complex since 2016. 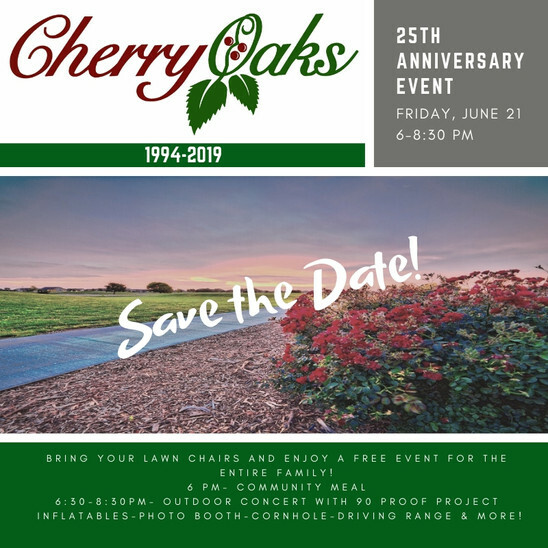 A collaborative effort between Cheney Recreation Commission, the City of Cheney and numerous citizens and volunteers have contributed to the following projects. 1. A master plan for the land was developed through public input by LK Architecture. 2. 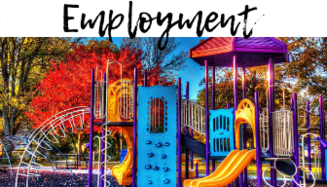 A playground grant was secured by Cheney Recreation for $25,000 to purchase a $50,000 play structure. 3. Dirt work was completed on the north section for future multi-use fields. 4. Future multi-use fields were seeded in the late fall with the help of a donor. 5. 80 trees were donated by ICTrees and planted by volunteers. 6. A grant was secured for $50,000 to build an additional ball field. 7. The parking lot size was doubled. 8. Gaga Ball Pit was constructed as an Eagle Scout Project. 9. A grant for $947.50 was secured from KDHE to purchase 5 park benches. 12. Dirt work for the additional ball fields was completed and the beginning stages of a pond began. 12. An electrical transformer and lights were added to the parking lot. 13. Backstop was erected at newest ballfield. 14. Sprinkler system was installed and grass was planted at the newest ball field. 16. Landscaping was done around the "Cheney" entrance sign. 17. Perimeter fencing around the newest ballfield was installed. 18. Dugouts at the newest ballfield were built. The Cheney City Council approved the Sidewalk Installation/Replacement Program for 2019. 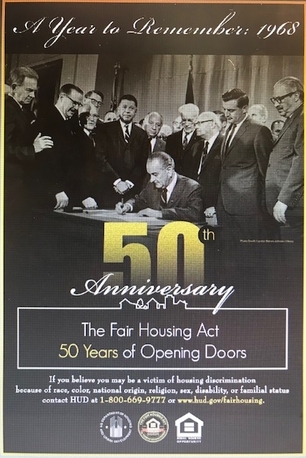 The purpose of this policy is to assist homeowners with the installation of new sidewalks that connect to existing sidewalks as well as replacing sidewalks in disrepair. Click here for a sidewalk grant application form. 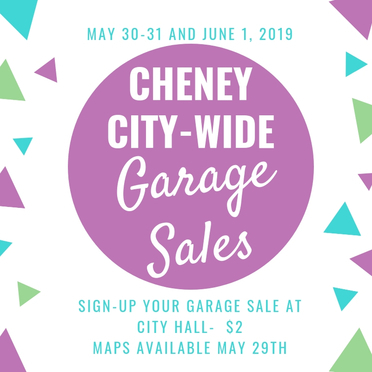 The City of Cheney will reimburse property owners for half (1/2) the cost of public sidewalk, located in the street easement, installation/replacement up to $750.00 per building lot frontage. Reimbursement will occur based measurements determined by the City at a cost of $3.00 per square foot. Measurements will be rounded to the nearest foot. Sidewalk replacements will receive priority and awarded funds first. Grants will be awarded on a first come basis. The City reserves the right to prioritize some replacements based on severity and need for replacement. Requests in 2018 not funded may receive priority for 2019 if the program continues. If funds are available after all replacement requests have been filled, new sidewalks will be considered on a first come basis. New sidewalks must link to existing sidewalks. Sidewalk construction must comply with Cheney city codes regarding specifications for 5’ sidewalks. The City will pay for the installation of ADA approaches on corner lots and make those arrangements. A permit is required for sidewalk installations and must be approved by the City building inspector. Applications must be received at City Hall by October 1, 2019 for consideration. Construction must be completed by December 15th, 2019 to receive payment. 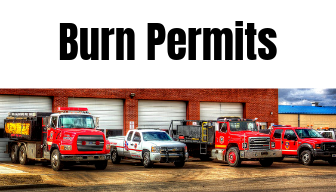 Payment will be made by check on the regular payment schedule for the City. The City of Cheney reserves the right to refuse projects based on condition of the sidewalk. All bad sections or the entire sidewalk must be included in the application. 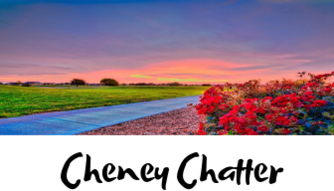 Looking to Make Cheney Your Home? Check out these lots currently for sale that are ready for houses! 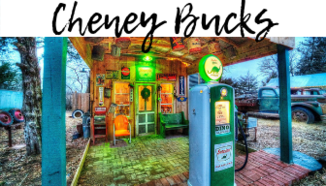 Cheney offers great K-12 schools, active and growing Main Street, awesome Recreation Department, city swimming pool, numerous park upgrades, 18-hole golf course, and is only a quick 20 minutes from West Wichita. Click on Housing additions to view maps of each development. 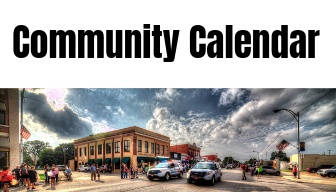 Contact City Hall (316) 542-3622 with any additional questions! Quail Creek- Lots available with pond located behind each lot. 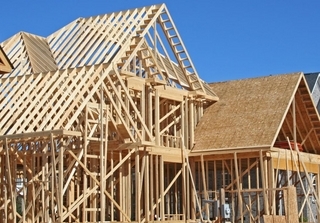 Closed Builder, but other builders allowed subject to approval. 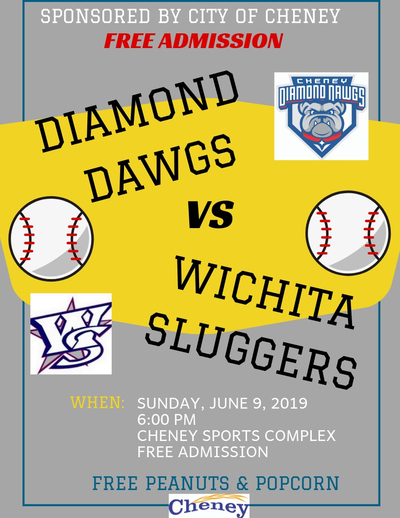 Contact Dal Eck (316) 942-7402. Back Nine- Lots located in new housing addition on the north side of Cherry Oaks Golf Course. Open builder is allowed. 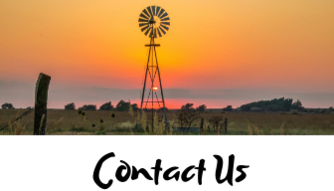 Contact John Mies at (316) 640-9544 or Farm and Home Realty 540-3124. West Oaks- Fabulous 1.5 acre building sites off the back nine of beautiful Cherry Oaks Golf Course. Site built homes only. Bring your own builder! Contact Farm and Home Realty at (316) 540-3124 for more details. 1. Do NOT use matches or lighters- Extinguish cigarettes or smoking materials.